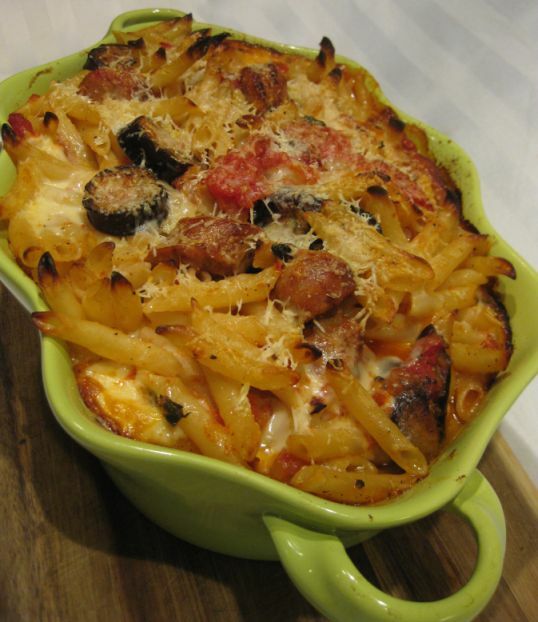 If you are in a mood for a homemade comfort food, this is the dish for you. 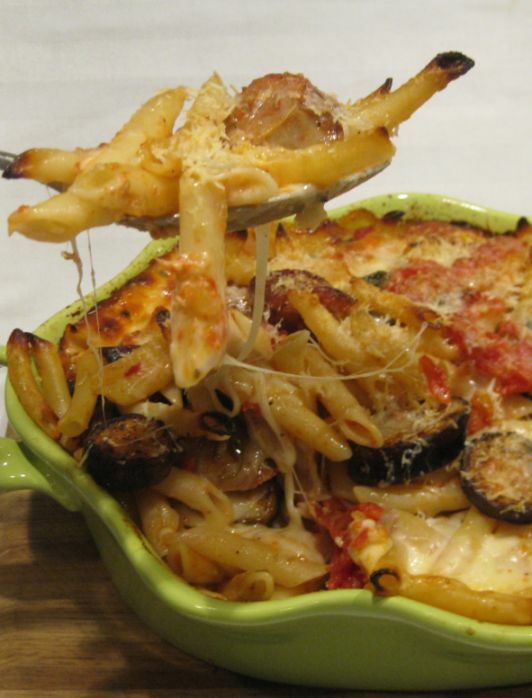 When the weather is cold, and the baked penne is served, well it is simply heaven. 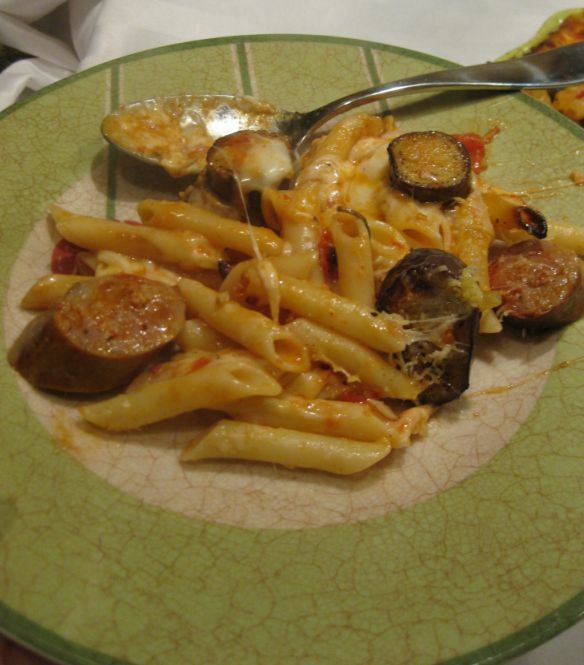 When you take the first bite, first you'll enjoy a crispy layer from the Parmigianino cheese, and then underneath you get the gooey mozzarella cheese, then the penne, the sausage and the eggplants... it is so good! 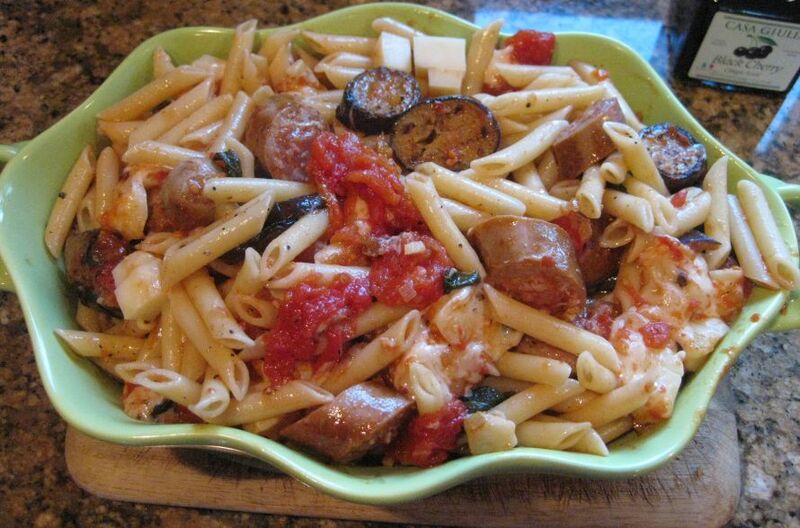 I often serve this dish for the kids, when I have a large gathering, and usually there is no leftovers. 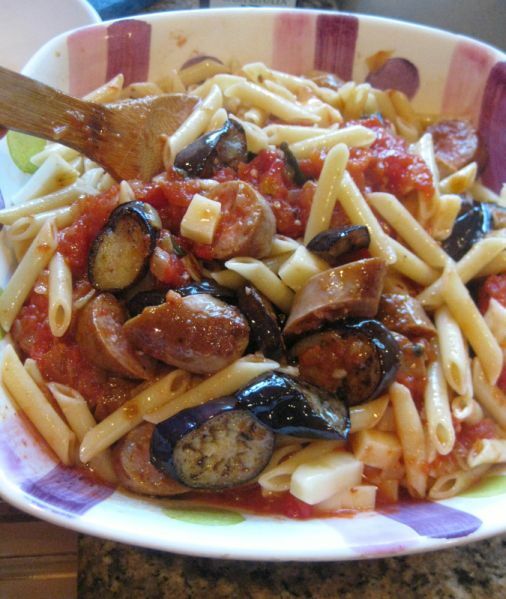 Penne is a type of pasta with cylinder-shaped pieces and it is traditionally cooked to al dente and served with pasta sauce, but here it is paired with Italian sausage and eggplants to give more flavors. Freshly out of the oven and it is ready to be served! The top layer of melted Parmigianino cheese became a bit crunchy and I like it. My plate.. I sprinkled a bit a peppers flake .. nice flavors! Until they are brown and then put them aside. 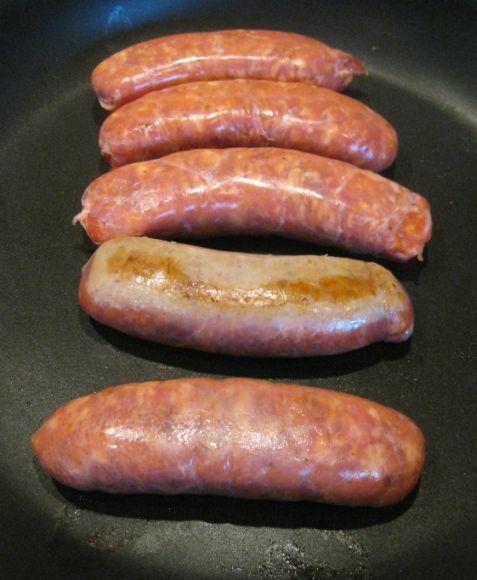 Note: the sausages are not fully cooked, they will finish cooking in the oven. 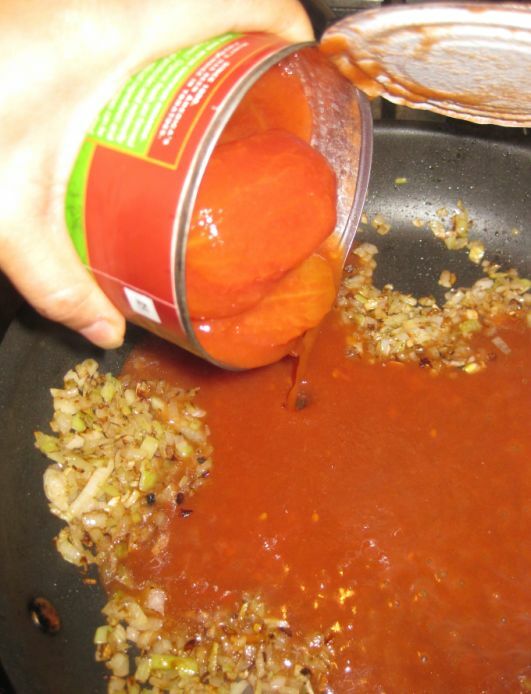 Add a generous 1/3 cup of oil to the skillet and it hot. 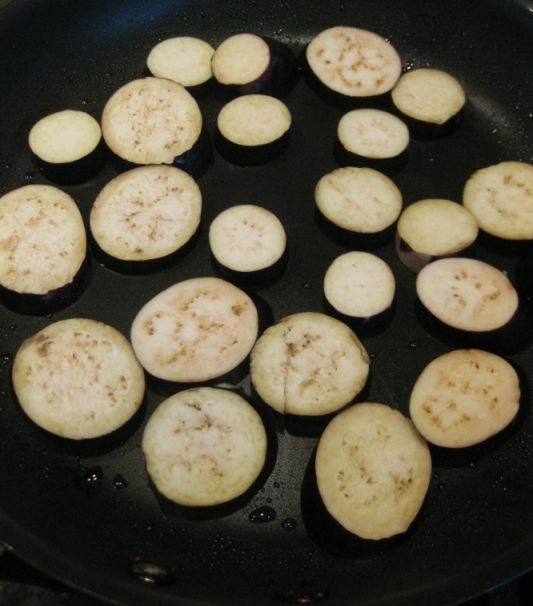 Add as many eggplant pieces as you can fit in one layer and sprinkle with salt. Note: the eggplant will absorbed all the oil. 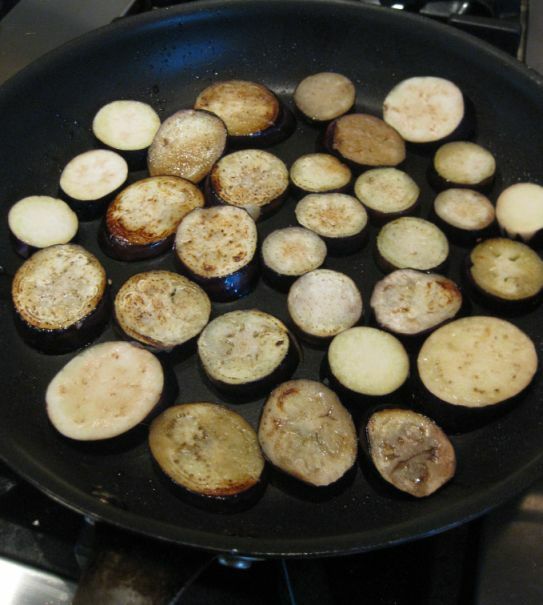 Cook, turning for 7 to 8 minutes until the eggplant gets nice and browned and then put them aside. 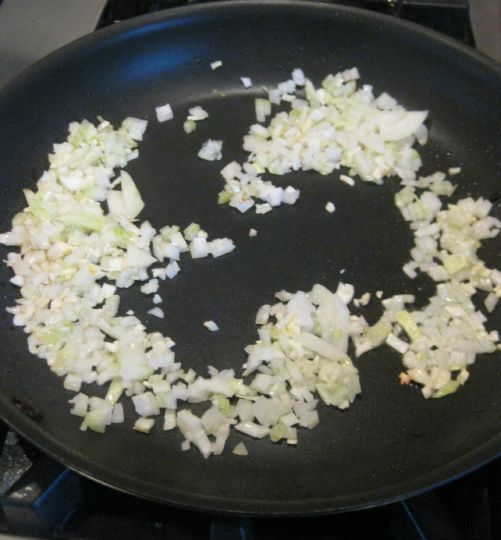 In the same skillet, add the chopped onion and chopped garlic. 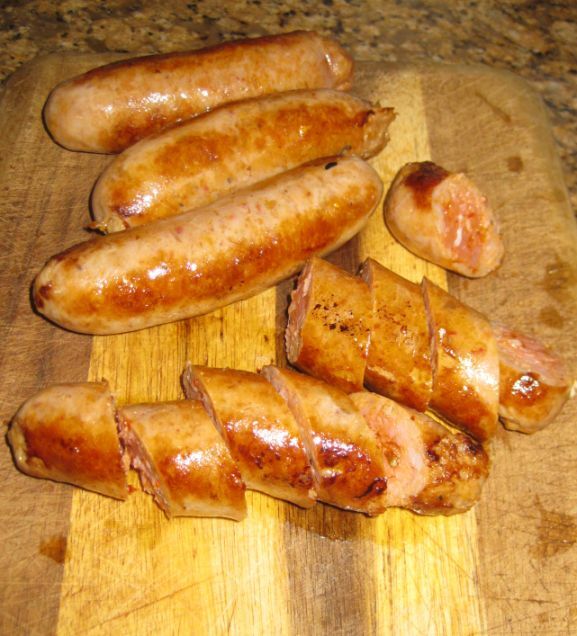 Cook them for about 2 to 3 minutes or until translucent. 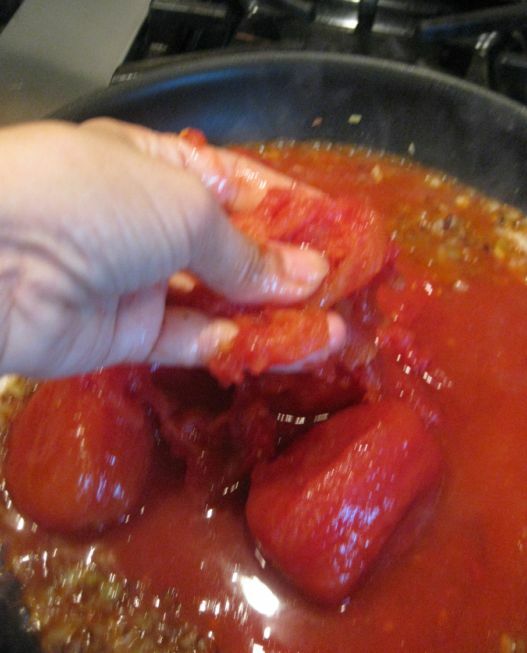 And crush the tomatoes with your hands to break them. 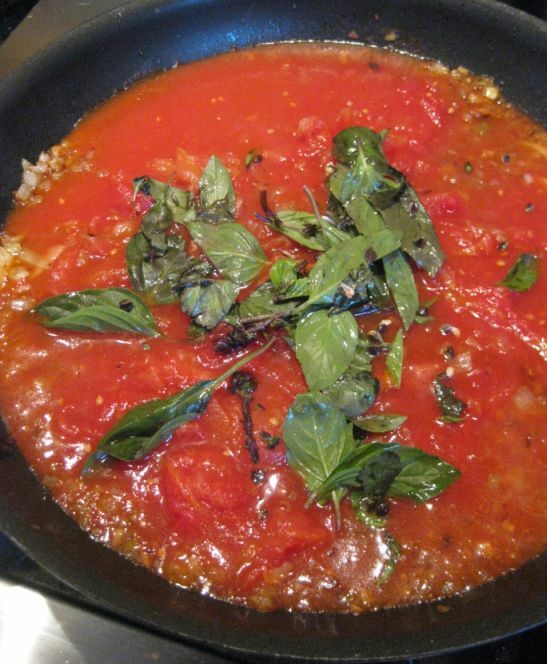 Add the basil to the pan and simmer the sauce for about 15 minutes or until pulpy and relatively thick. while the sauce is cooking. 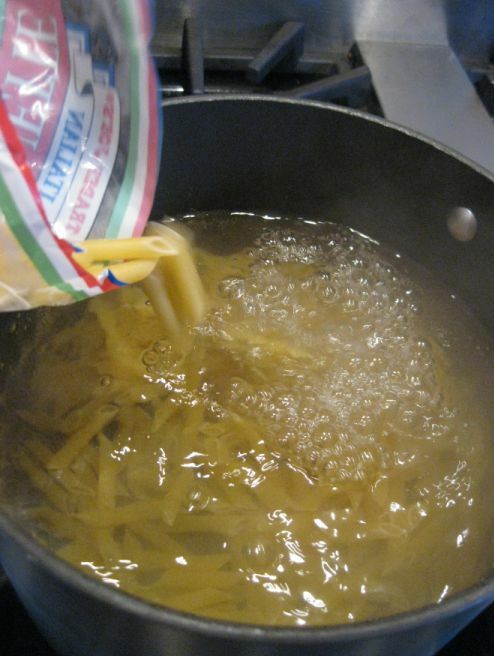 Cook the penne in salted boiling water. 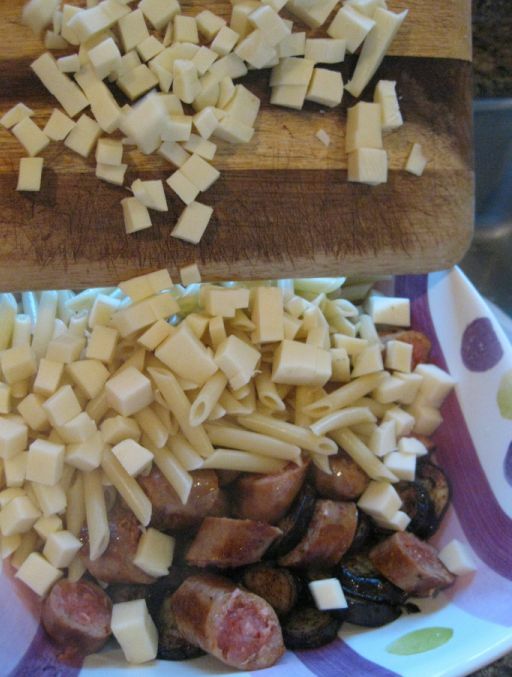 While the pasta is cooking, slice the sausages and put them in a large bowl. 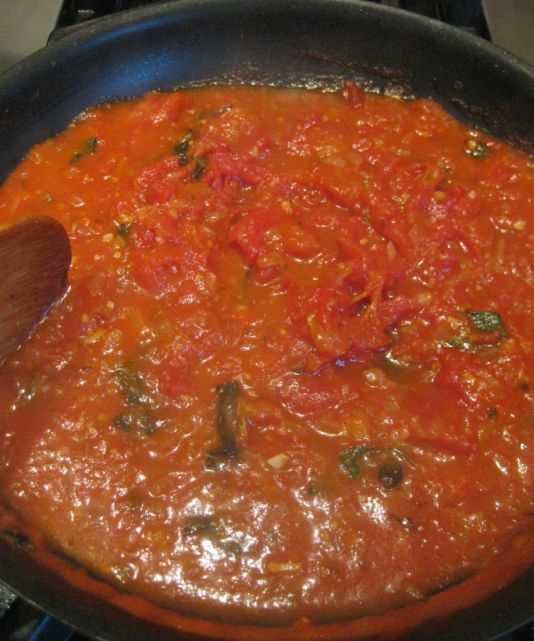 It has been 15 minutes and the sauce is thicken. 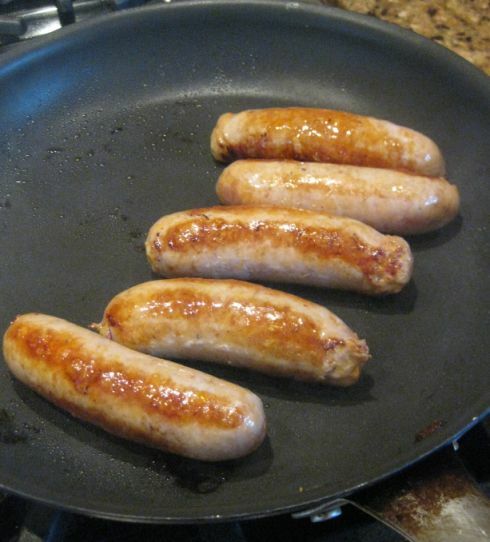 Turn off the heat and leave the skillet on the stove. 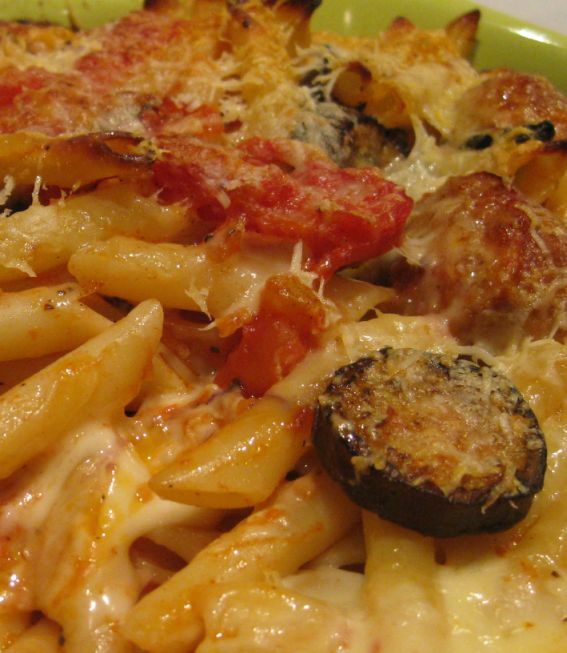 The penne is cooked. 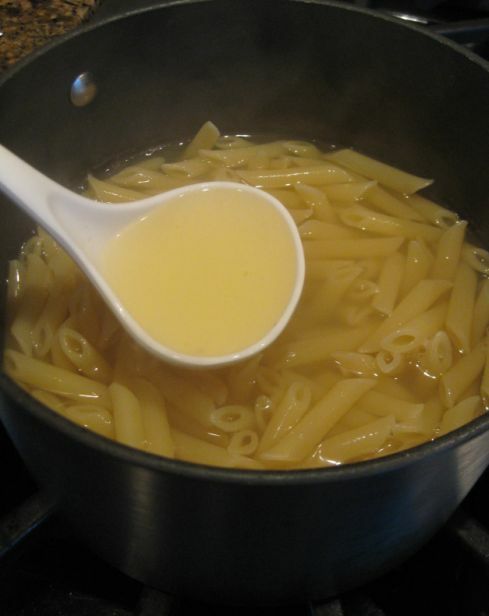 Drain the penne but keep 1/3 cup of the pasta water. 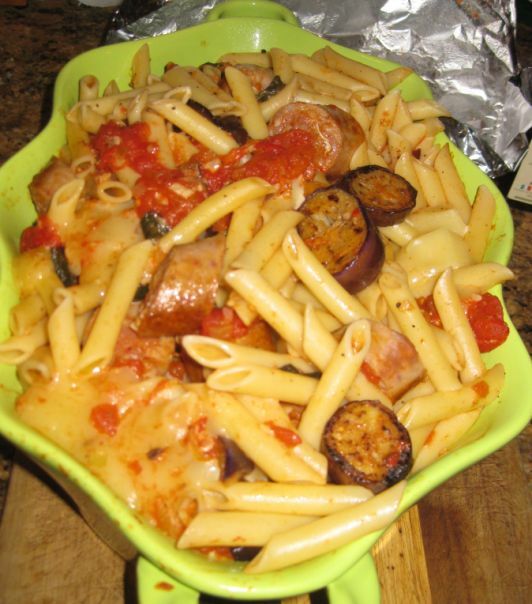 In a large bowl, combine the sausages, the eggplant pieces, the mozzarella cheese. 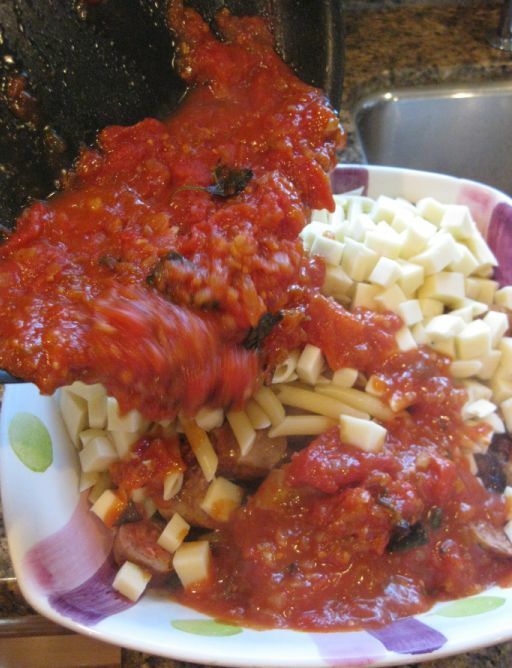 Then pour the sauce over the bowl, add 1/3 cup of the pasta water and mix all the ingredients together. Once it is well combined pour the whole thing into a baking pan and drizzle with a bit or olive oil and dust the top with Parmigianino cheese. Ready to go in the oven at 400 degrees for about 20 to 25 minutes.